This gun definitely has the WOW factor. Profusely engraved in scroll with excellent quality wood. A stunning new model from Beretta. Comes in a Beretta motor case with 5 chokes. The Gun Room offers you the opportunity to purchase a new Beretta 686 Silver Pigeon 1 Sport with 30" multi choke barrels and adjustable stock. Comes cased with additional 5 chokes. The Gun Room offers you the opportunity to purchase a new Beretta 690 III Sporting with 30" multi choked barrels with game scene engraving and tapered sporting rib. Well figured wood. Comes cased with additional extended chokes. A very hard to find Beretta AL 391 Xtrema 2 in Max 4 wetland camo. Fitted with an extended magazine tube for 8 shot capacity (Firearms certificate required ) . The gun is in as new condition with very little use. Lovely dark well grained wood to stock and forend as would be expected with this Deluxe model. Gun believed to be 2012 vintage. The Gun Room offers you the opportunity to purchase a second hand Beretta SV10 Prevail 1 with 30" multi choke barrels. Comes cased. In immaculate condition, totally unmarked. A real stunner which features a game scene engraved sideplated action very nice wood quality. Presented in the Beretta motor case with 5 chokes. To inquire about this rifle please quote number 40. Very lightly used - this gun is in mint condition and all as original. We offer a comprehensive gun fitting service with all of our guns, any necessary alterations being carried out in our workshop on site within the sale price. 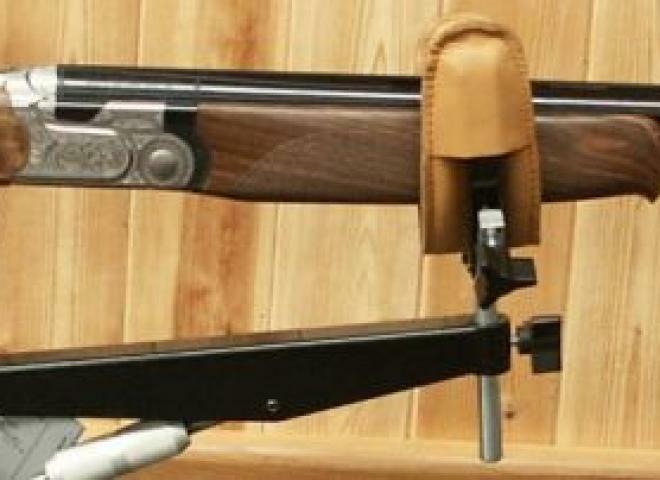 This left handed, fixed choke gun with 28" barrels would make a perfect starter gun for the left handed shot. I do have a shorter pad here as well if the length is slightly long. Good condition Silver Pigeon 1 trap gun, adjustable comb & trap forend. Purchased new in December 2015, complete with original hard case. 01223 837977. Just had brand new woodwork fitted, this has given the gun a more modern feel. this is a very tidy example of a eell due to buying a new one this never gets used so need to free up bit of space in the cabinet. Very Very Rare Berretta 687 sporting with top grade wood work, and stunning engraving. A superb very little used and totally unmarked 'as new' Beretta 690 Field III Game gun complete with all long Optima 'HP' flush chokes, owners manuals, makers case etc. This gun is in very good condition, one owner from new, with very little use. Purchased approximately 3 years ago. nice gun, serviced and refinished wood, as this is a nice stock, has been left for a choice of walnut oil or wax finish, this can be done in the price, good condition throughout, well balanced and shoots well. The Gun Room offers you the opportunity to purchase a second Beretta 686 Silver Pigeon I Field with 28" multi choked barrels. In very nice conditions, comes cased with additional chokes. 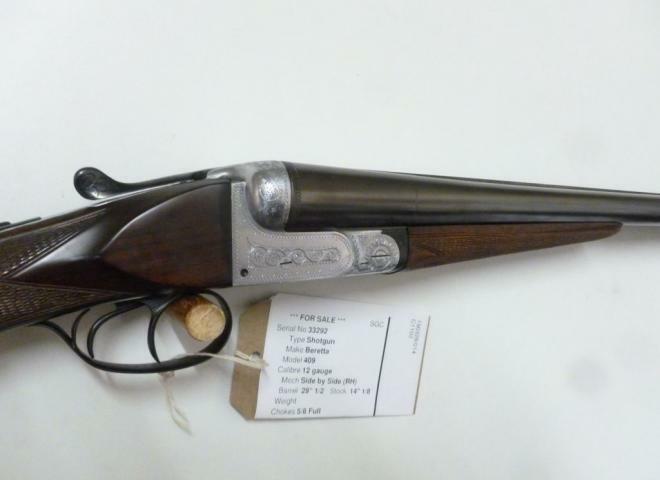 A superb original example with a level of finish and detail not seen on many of the new guns these days, game scene engraving, vent side rib barrels with matt finish, flush fitting mobile chokes. This is an outstanding example of this make/model. It has beautifully figured stock and forend, It is in truly immaculate condition and could pass as new. New Beretta 687 EELL with game scene engraving, multi choke with makers ABS case, an iconic game gun. Beautifully figured woodwork, recently refinished in Tru-Oil. Four Optima extended chokes, tools and maker's case. All new wider action body giving a greater 'feel between the hands' with improved handling / balance qualities! All new 693 Field with all new wider action giving greater balance between the hands with superior handling! A stunning Silver Pigeon 5 in suoerb condition with Beretta Motor case & 5 chokes. This is an "EX DEMO" gun that has been shot a few times and remains in as new condition. A good saving on RRP. A lovely example of this new Beretta 693 Game gun with nicely figured walnut woodwork set against a beautiful game scene engraved new action. This fine 20b is superbly balanced and highly pointable, the gun's handling is outstanding! Almost indistinguishable from new, this 692 is fitted with 30" M/C barrels, and is a good saving on the new price. Beretta 686 Silver Pigeon 1 Sporter 30" M/C with Optima Bore 'HP' for outstanding ballistics! Fantastic build quality and superb performance from this hugely popular famous brand.